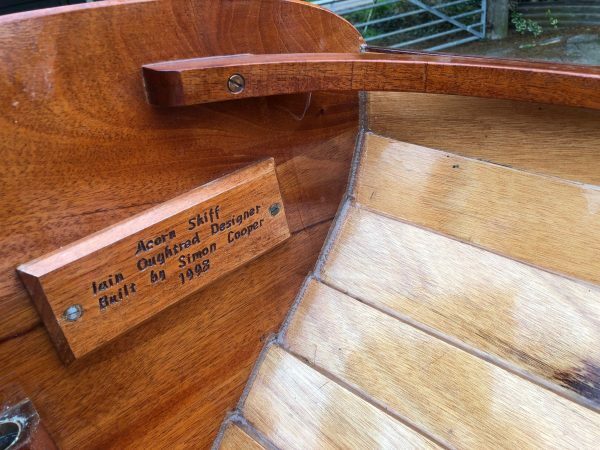 Ian Oughtred Acorn 15 rowing skiff built by a very skilled amateur who has built a large number of boats in the past. 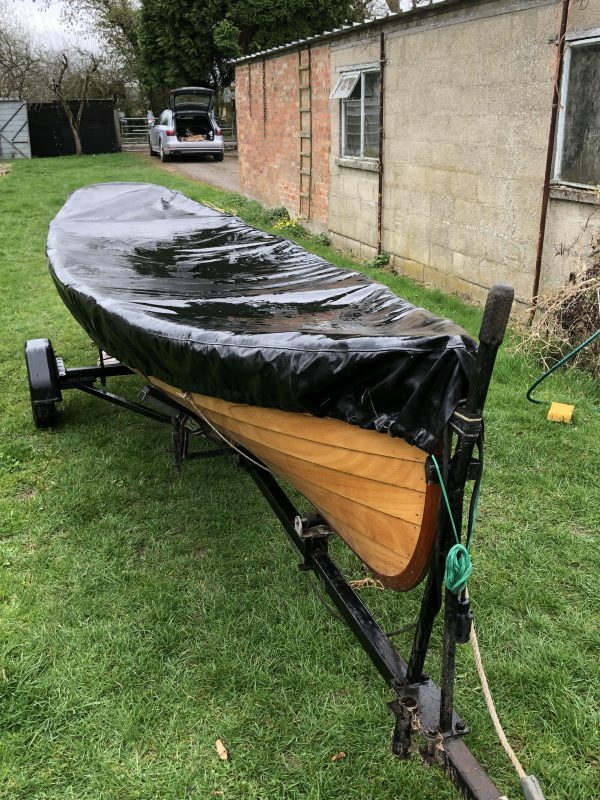 Built as many of these boats are in epoxy glued marine plywood which makes for a very lightweight and strong hull, ideal for a rowing skiff. 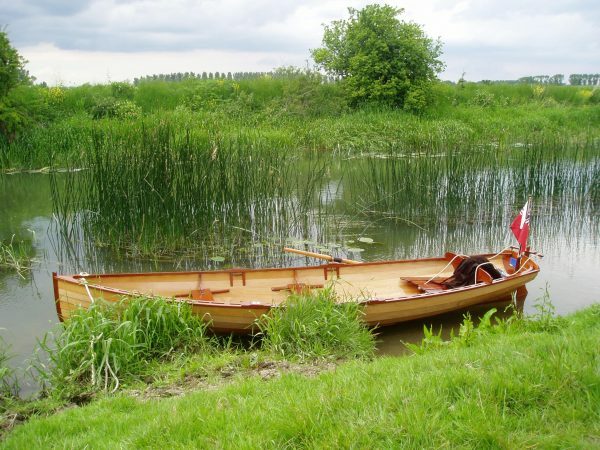 The Acorn is an exceptionally pretty boat and can be rowed easily by one or two people making her very versatile. This boat has been used on inland waterways and open sea. 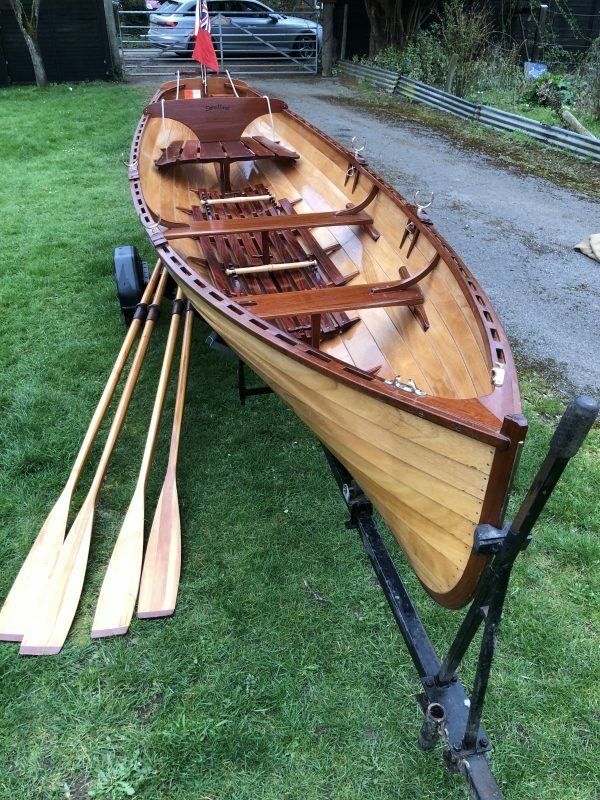 She appears to have been built to a good standard and looks to be very nicely finished inside and out. Her build took over 1000 hours and she has been very lightly used since her completion. She has often visited the Thames Classic Boat Rally and attracted a lot of attention. 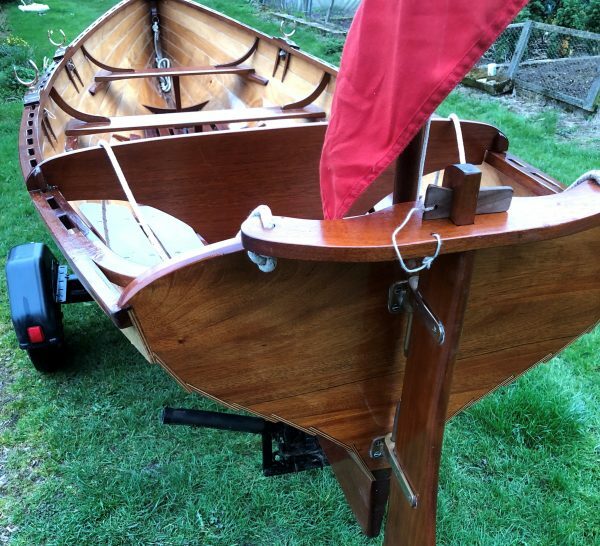 The boat comes with an all over cover, road trailer and two pairs of oars so she is ready to be used immediately. 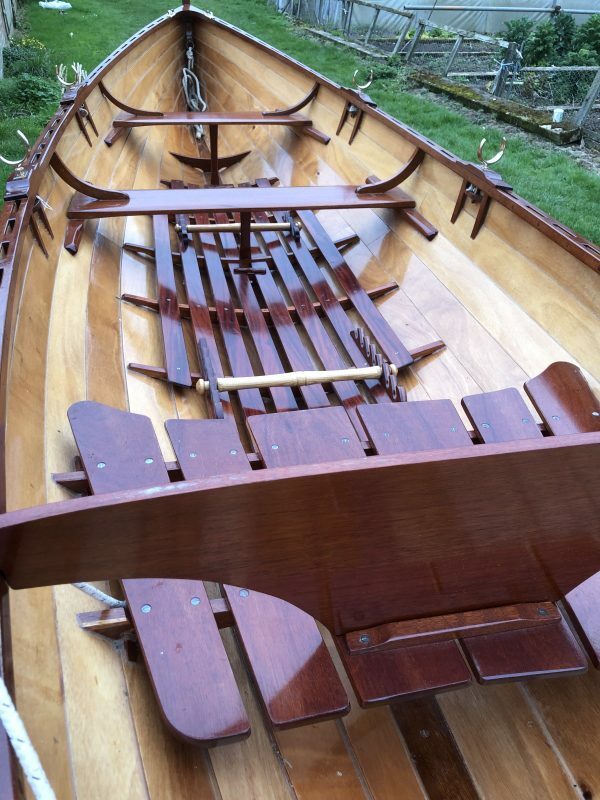 Clinker planked in 6mm Robins Elite Multi Laminate marine plywood, edge glued using West System epoxy. 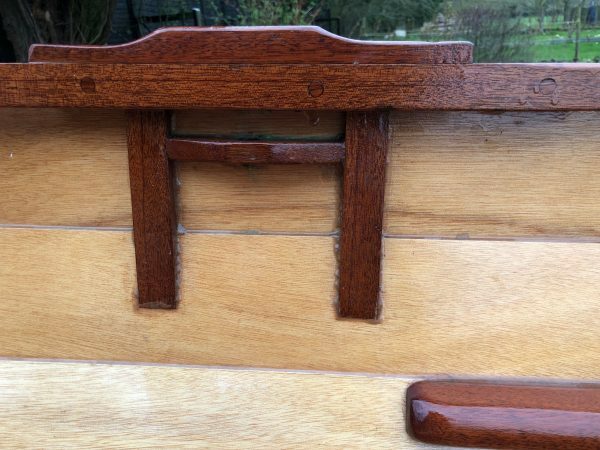 Solid varnished mahogany backbone, stem and transom. Sawn mahogany floors across the centreline for added strength. 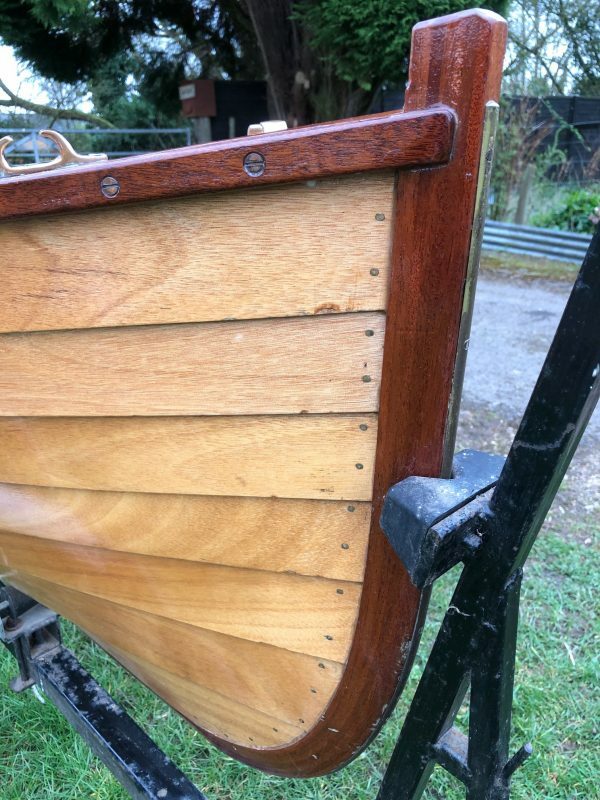 Solid varnished mahogany gunnels and rubbing strake. Reinforced rowlock positions in the gunnel with bronze rowlocks. Varnished mahogany thwarts supported on mahogany stringers with sawn mahogany knees. 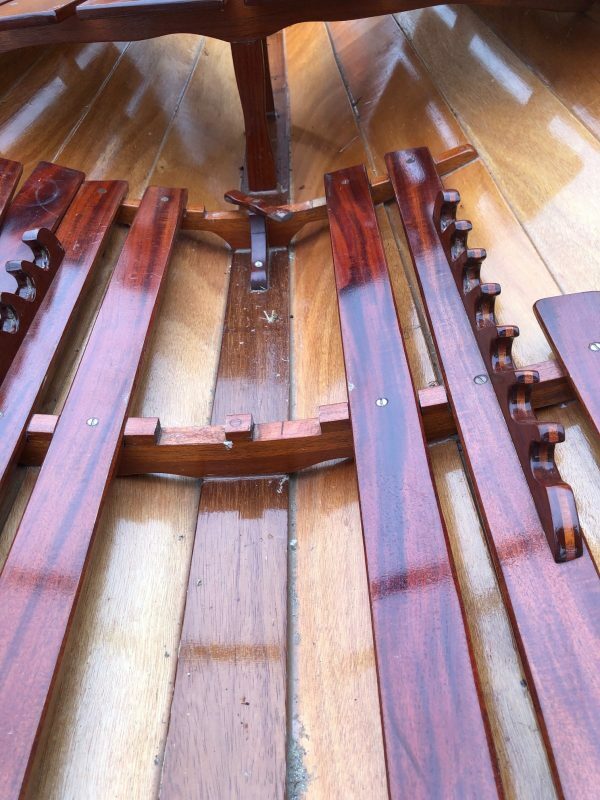 Varnished mahogany slatted sole board screwed to the floors with an adjustable foot stretcher for each rower. 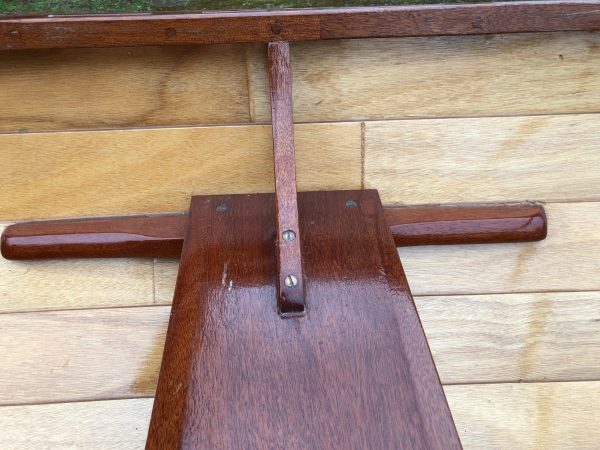 Transom hung rudder with bronze pintles and tiller lines for the cox. Aft thwart with a back rest for the cox. 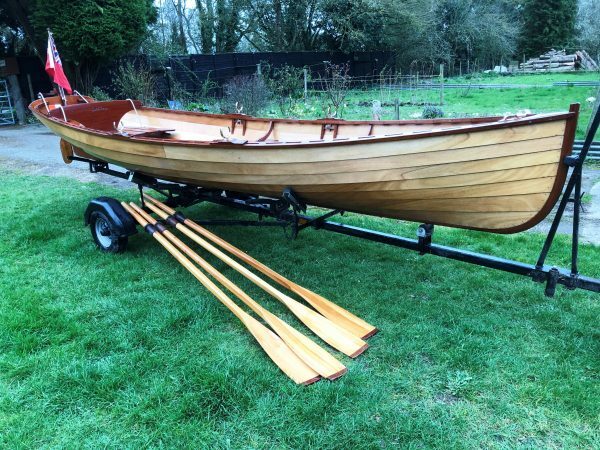 Two rowing positions with 2 pairs of varnished spruce oars. 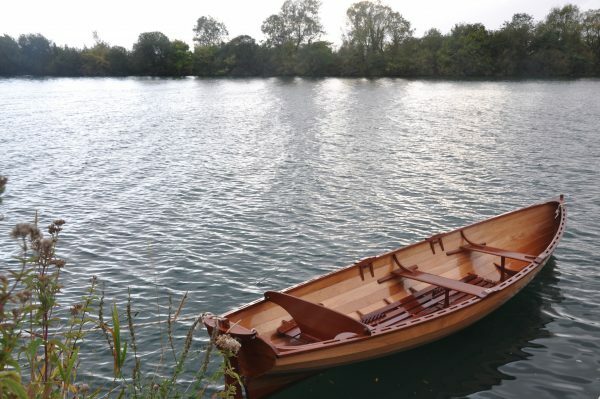 These particulars have been prepared in good faith from information provided by the Vendors and are intended as a guide, Wooden Ships cannot guarantee or warrant the accuracy of this information nor warrant the condition of the vessel. The Purchaser should instruct his agent or surveyor to validate all details as necessary and satisfy himself with the condition of the vessel and its equipment.